EDINBURG — After posing for the first official headshot of his professional soccer career, Gregory Sutton took off his new RGV FC Toros jersey and asked the team’s social media manager to hold it up. Sutton took a few seconds to find the perfect angle — with the giant RGV FC logo decal showing on the wall in the background — before snapping a picture with his phone. The 18-year-old forward from the Seattle Sounders youth academy is one of two new signings for RGV FC, which also added midfielder Nicolas Perea ahead of Friday’s USL roster freeze. Sutton said he had already committed to and started training with the University of Washington when he got the call from RGV FC coach Junior Gonzalez about joining the Toros. Before taking the head coaching job with RGV FC prior to this season, Gonzalez was an assistant coach with Seattle Sounders FC 2. He was also the head scout for the Sounders academy during that time, and he was the one who first discovered Sutton and recruited him to the program. “Out of respect to him and his development as a player, I brought him back in to my environment,” Gonzalez said. Gonzalez highlighted Sutton’s speed and dynamic playmaking ability from out wide, and Sutton said he prides himself on his dribbling, scoring and skill beating defenders one-on-one. Despite Sutton’s qualities, Gonzalez cautioned that the newcomer might not see the field immediately. Joining the team with only five matches remaining, Sutton will need time to learn the Toros’ system and mesh with his new teammates, Gonzalez said. Being that Sutton is in a professional environment for the first time, Gonzalez said he will also be watching to see how Sutton handles his daily routine and training. Sutton will have to prove that he deserves to play ahead of the Toros regulars, who have had a full year in the system to build chemistry with each other. Sutton said he hopes to see the field this weekend, as RGV FC prepares to face Reno 1868 at 7:30 p.m. Saturday at H-E-B Park. But he also understands that his play has implications that extend beyond the 2017 season. Perea, a 25-year-old midfielder, also said the dynamic of joining a team so late in the season was slightly unusual. With only five matches left on the schedule, RGV FC (7-13-7) sits in 12th in the Western Conference, and the team’s 28 points are six behind the eighth-place cutoff to qualify for the playoffs. Perea spent the previous two seasons with the NASL’s Jacksonville Armada FC and had been training with PDL squad Weston FC in Pembroke Pines, Florida, before being offered the spot on RGV FC. A deep-lying creative midfielder, Perea said he has been working to get back into playing shape after some time away from competition. Like Sutton, he might not be in line for immediate playing time, but he knows the remainder of the season is an audition for the rest of his career. 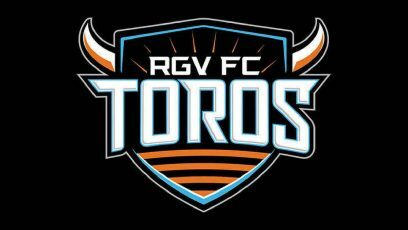 Prior to Saturday’s game, the Guadalupe Treviño Kelly team from Reynosa, Mexico, will serve as the Toros’ special guests and be honored with personalized RGV FC jerseys during a pregame presentation. The team advanced to the Little League World Series’ international championship game before losing to Japan.